Miami-Dade County, FL – After high school graduation, many students go off to college and move on to their professional careers and never look back. Things are a little different at Mater Lakes Academy where fourteen graduates have returned to work at their alma mater. “Mater Lakes was a tiny school in comparison to what it is today. 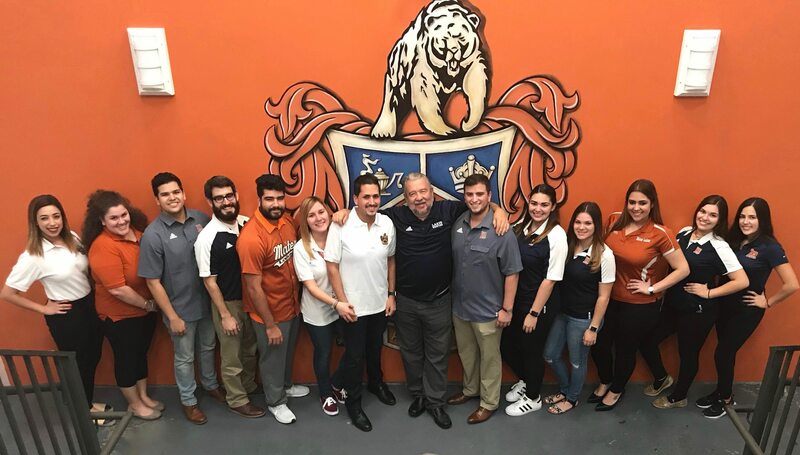 We were such a small school at the time I attended…we enjoyed a very close-knit community feeling with everyone,” said Andrew Curbelo, Class of 2012 and current Social Studies teacher. “I enjoyed the environment, the friendly students and staff. I had so many great moments,” explains Stephanie Quintero, Class of 2012 and current Mathematics teacher. Some of the alumni/teachers were part of Mater Lakes’ successful Early Childhood Education program where high school students can a Child Development Associate (CDA) degree and are given an opportunity to work in the classroom with young children and begin the journey to becoming an educator. This program not only gave them hands on experience but paved the way for a meaningful career. “We have done something right when alumni want to come back,” said Principal Rene Rovirosa. Open since the 2006-2007 academic school year, Mater Lakes Academy is a Miami-Dade County Public Charter School serving students in 6th – 12th grade. The school has earned state and national recognitions, include ranking among the Top High Schools in America by US News & World Report. In 2018, Principal Rene F. Rovirosa was named one of the top nine principals in the State of Florida by Florida TaxWatch — an independent, nonpartisan, nonprofit taxpayer research institute. According to the TaxWatch report, Mater Lakes Academy exceeded both the state and district percentage of proficiency at 71%. For more information, visit the school’s website at www.materlakes.org.